US & European Vehicle Specialists! 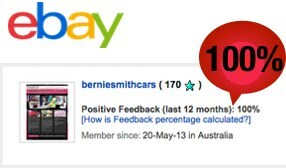 Bernie Smith Cars has been in business for over 20 years and after almost 10 years at the Lombards site Bernie has moved all his operations to Tullamarine. Bernie has one of the largest collections of Australian Classic Vehicles in Melbourne, all handpicked by Bernie and displayed under cover. 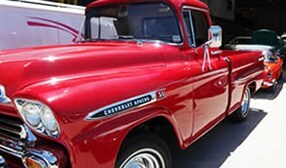 Vehicles range from Classic Australian European and luxury and Vintage American Classic Vehicles. Our mega factory with state of the art facilities is located at Tullamarine, with all vehicles displayed undercover. Bernie has a love for all things old and has a large private collection of Vintage vehicles, motorbikes and garageanalia. The Tullamarine location provided the opportunity for Bernie to create a classic car museum which was opened on the 14th January. The Museum provides a lot of nostalgia for those people reminising about their times as a kid and reflecting what it was like in the old days compared to all the modern gadgits of today. If you love the classics, the museum is worth a look! "Outstanding. A real pleasure! Highly recommended!"